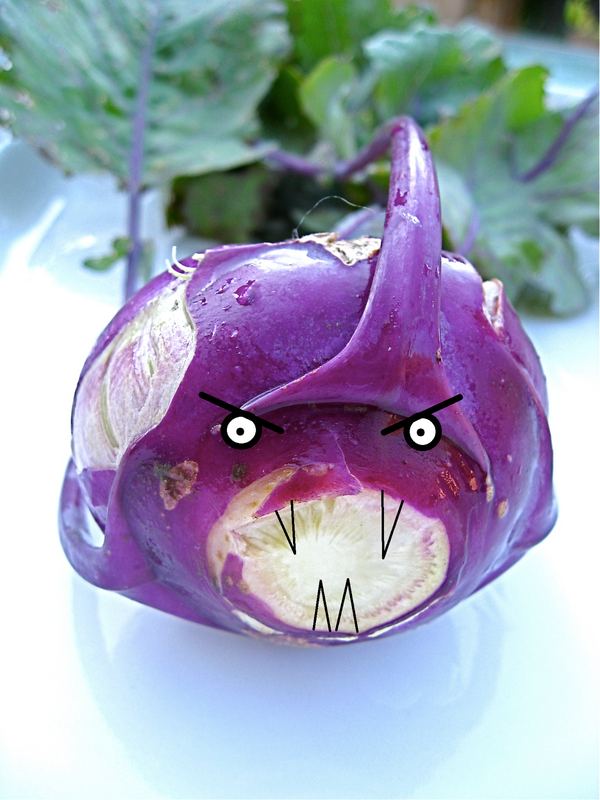 Kohlrabi, a root vegetable I first wrote about back in 2010, has surfaced on blogs, in the newspaper, and particularly in my weekly farmers market newsletter. I enjoyed reading about a first experience using the funny-shaped veggie on Choosing Raw. This week's Mount Pleasant Farmers Market newsletter pointed me to (slightly older) articles on what to do with this strange brassica. And, who knows, I may come home with one or two on Sunday. So if you haven't tried this crunchy cabbage-relative, then make sure to look for it at your local market!